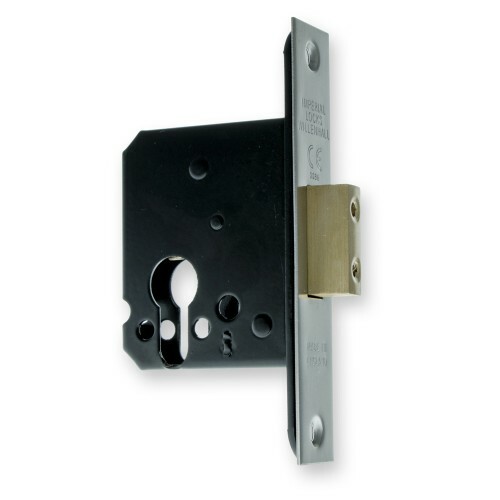 This euro-profile deadlock case has been designed to retrofit most existing mortice deadlock templates, whilst offering the ability to use a euro cylinder on your door. 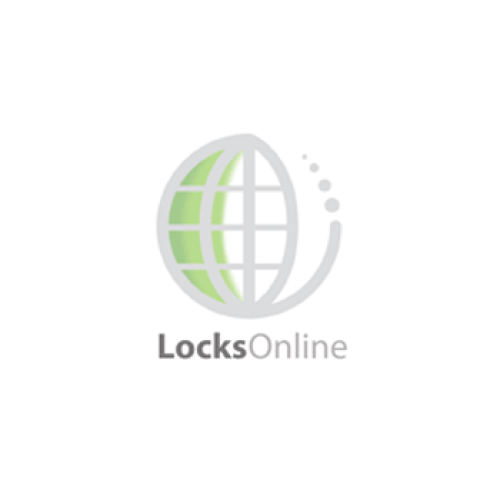 While traditional lever-key operated locks offer the security and functionality that most people require, there are numerous benefits to using a euro-cylinder operated lock instead. 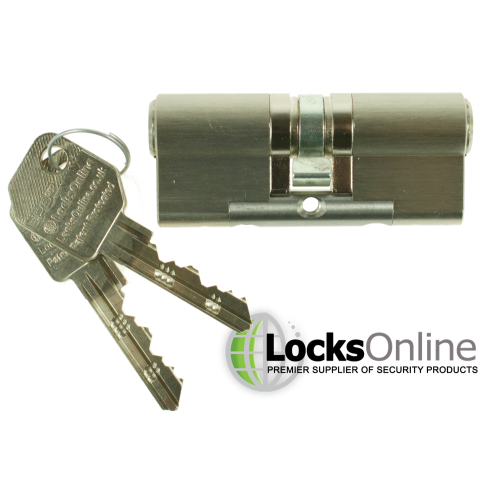 The most obvious benefit of using these locks is of course the flexibility it offers you. 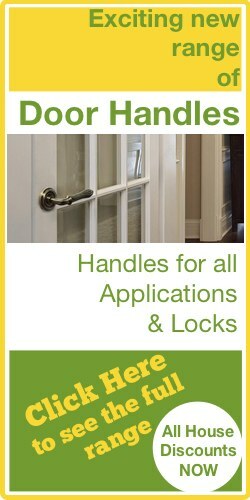 Euro cylinders can be master-keyed and suited to a degree that lever locks simply cannot offer. 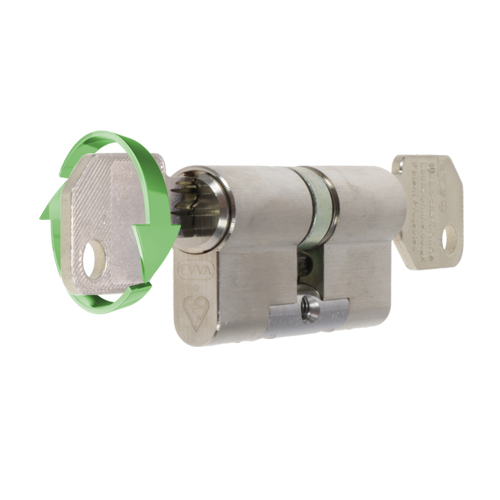 And even if this is not of use to you, they offer the ability to 'change the locks' by doing nothing more than swapping out the cylinder - a quick 1 minute job that requires nothing more than undoing a single retaining screw. 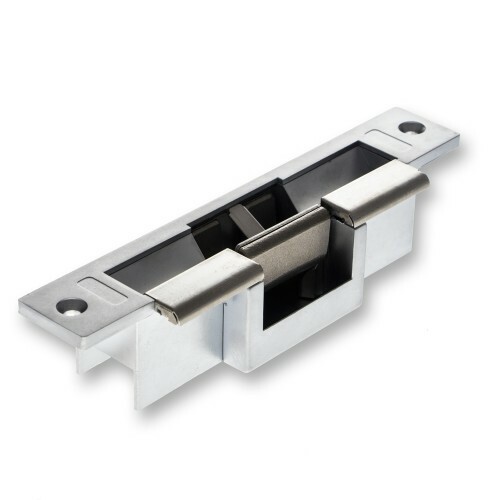 It also means you can offer free-egress by utilising a cylinder which offers a thumbturn on the inside instead of a keyhole like on the outside. 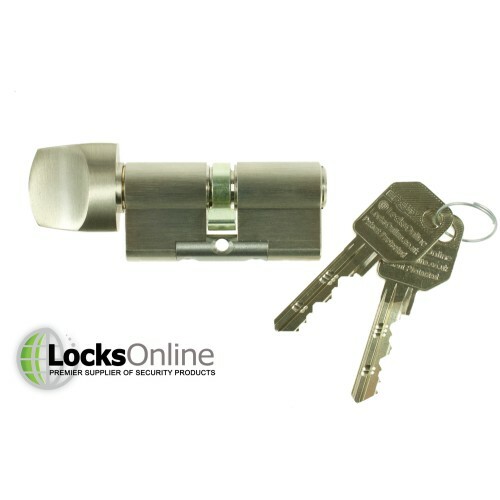 This is what we call a 'key and turn' cylinder, and we offer various common types of cylinders below to compliment these locks. 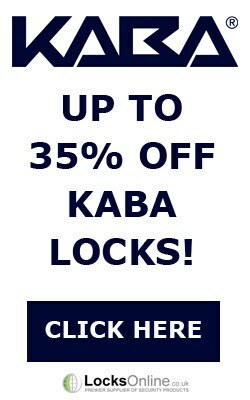 These locks are built to last. 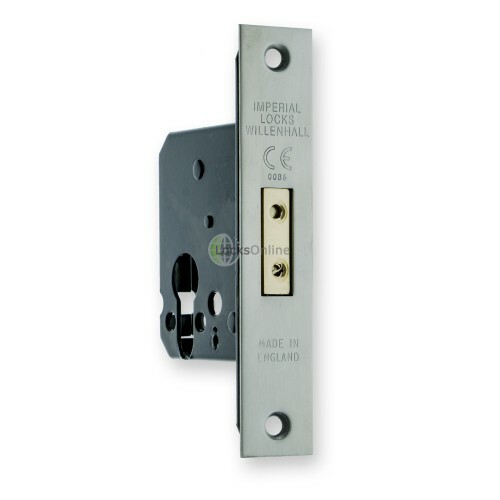 Manufactured right here in the UK out of Willenhall, England, these locks proudly bear the "Made in England" marker on the faceplate. 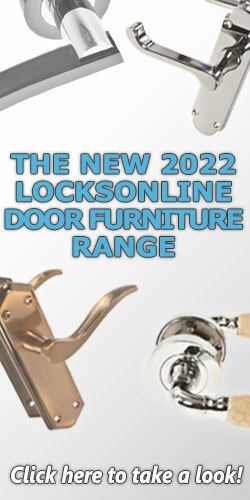 To compliment the high quality British manufacturing that has gone into these locks, we are pleased to be able to offer a full range of delightful finishes from the standard satin brass and satin stainless steel, to the special order polished variants and even a stunning satin black, and beautiful antique bronze finish. 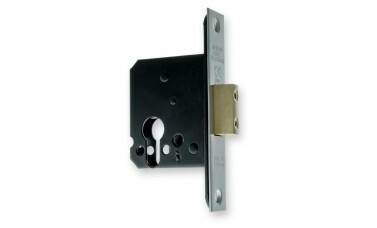 What's more we can also offer the rebate kits required to fit these to rebated double doors if you require this. 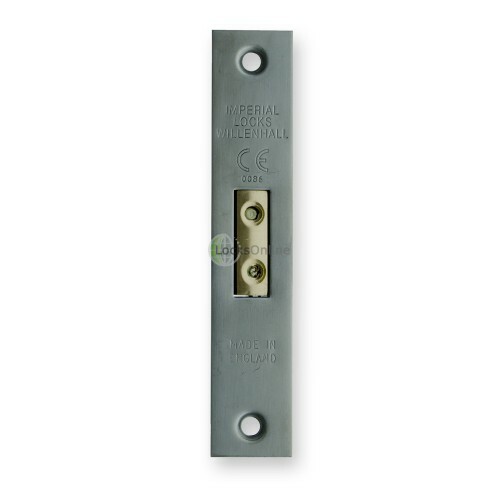 Please be aware that the Imperial Locks range is manufactured to order for you specially - so please allow additional time for these to be dispatched! 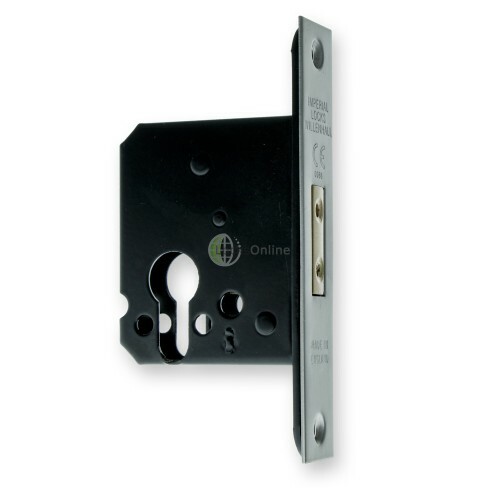 Important: These items are built-to-order specially for you and are not 'off-the-shelf' items. 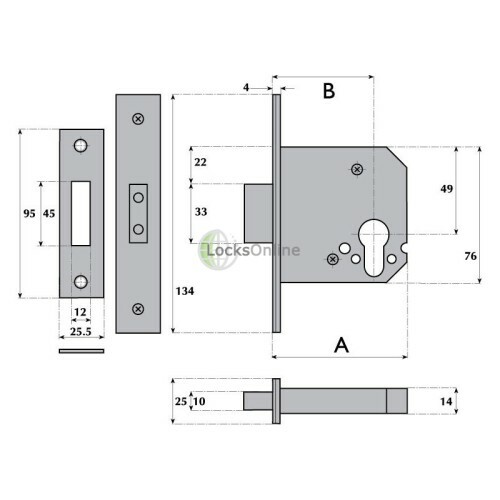 Therefore please allow a 10-14 day manufacturing period before dispatch. 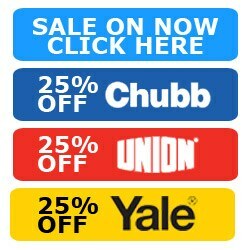 As such, these products they are deemed non-returnable so please double-check your requirements before placing your order.